The classic era of the show often played around with the length of stories, most ranged from four to six episodes. 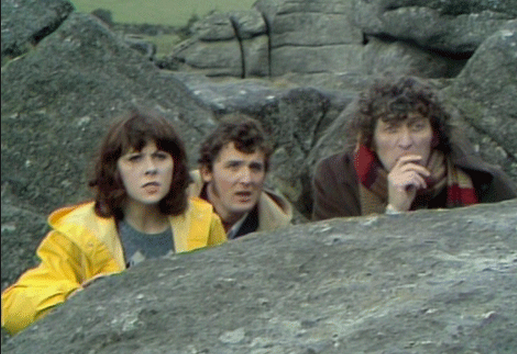 But sometimes, there was the odd story that only had two episodes, which were usually used as a little filler story. The Edge of Destruction, Black Orchid and to some extent, The Rescue are all examples of this. I say some extent for The Rescue as it introduced us to William Hartnell's new companion Vicki. 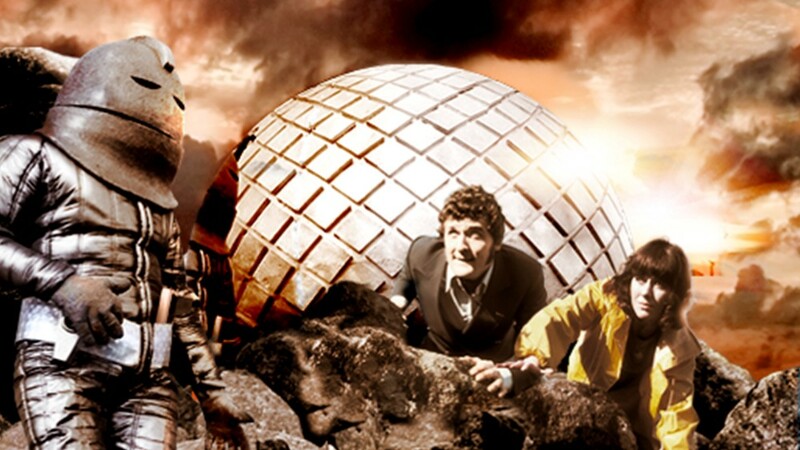 But that is what The Sontaran Experiment is and it is an enjoyable interlude between two of Tom Baker's biggest heavyweight stories, The Ark in Space and Genesis of the Daleks. It was a story that writers, Bob Baker and Dave Martin were given a tight brief for. 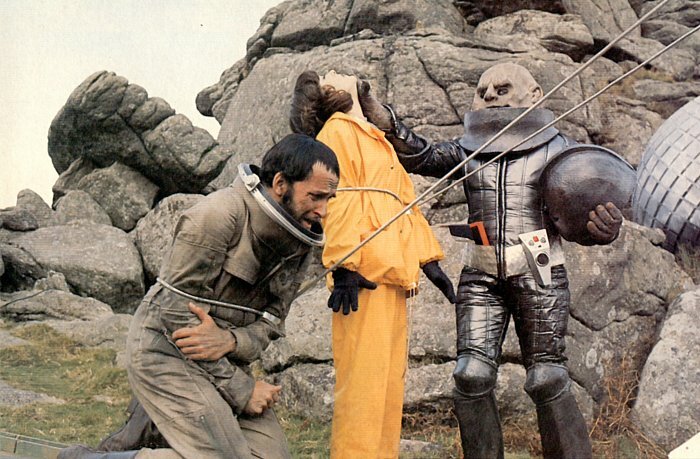 They had to include the re-introduction of the Sontarans, a warrior race created by Robert Holmes for his Jon Pertwee tale, The Time Warrior, which also saw the introduction of Sarah Jane Smith to the series. 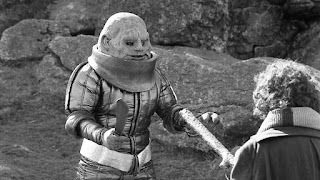 While Sarah might assume the Sontaran she sees at the end of episode 1 might be old enemy Linx it is in fact Styre whose mission is to subject the human body to different extremes to test its limits. And as all the Galsec Colonists are male, Sarah Jane's female form makes an interesting variety for him. The scenes featuring not explicit torture but nevertheless, distressing moments, are a little heavy to watch and brought the BBC some complaints from viewers. In fact, one disgruntled viewer even got in touch with Mary Whitehouse. It was from this adventure on that she would have the programme firmly in her sights and would continuously complain, because she had nothing better to do, about the levels of violence. Two years after this story, she won the battle and the producers were switched around the show took on a lighter tone. The Sontaran Experiment marked the debut of producer Phillip Hinchcliffe, The Ark In Space was made later in the schedule though showed earlier because the sets were re-used for Revenge of the Cybermen. So this story holds a key position in Doctor Who history as being the beginning of one of the show's greatest eras. Tom Baker rapidly made the role his own and the chemistry between himself and co-stars, Elisabeth Sladen and Ian Marter is extremely evident. Unfortunately, Marter doesn't get a lot to do, his character was an old fashioned, square jawed hero was brought onto the show in case the actor they cast as the Fourth Doctor was the same age as previous Doctor, Jon Pertwee. But in casting Baker, he was able to do all the action himself, pushing Harry's character to the sidelines meaning he was written out in Terror of the Zygons. Kevin Lindsay, is suitably sinister as Styre and his boss, Marshal. Sadly, Lindsay died of a heart condition a mere few months after completing the filming for this story. Lindsay had previously played Linx in The Time Warrior but makes Linx and Styre completely different characters. While Linx didn't care about anyone or anything expect fixing his ship and getting back to the war he was fighting, Styre is sadistic, enjoying the torture of creatures he deems lower than himself and during the fight sequence with the Fourth Doctor, he is utterly terrifying when he is swinging the machete around his head. The Galsec Colonists include stunt man Terry Walsh who gets a rare speaking role during his time on Doctor Who. He also doubles as Tom Baker for a lot of the second episode due to an accident that befell Baker when he slipped and broke his collar bone meaning he couldn't do any of the action stunts himself. One other colonist of interest is played by Glyn Jones who, to my knowledge, is the only person to have written for and starred in Doctor Who. He had previously written for William Hartnell with the story, The Space Museum broadcast in 1965.